The American Kennel Club and the Continental Kennel Club provide registry services for purebred dog breeds. While both organizations serve the same purpose, they don’t typically employ the same guidelines. This article lays out the significant differences between the two. The AKC, or the American Kennel Club, is an organization that runs a registry of purebred dog pedigrees. It is the largest purebred dog registry in the US. The AKC also holds the distinction of being the most popular, most prestigious, and most influential purebred registry in the country. In addition, it is the only non-profit pedigree registry in the US. The organization holds and sanctions various events and activities showcasing purebred canines. The annual Westminster Kennel Dog Show, the National Dog Show, and the AKC/Eukanuba National Championship are some of the widely recognized events held for purebred dogs sanctioned by the AKC. However, the AKC is not a member of the World Canine Organization or the Federation Cynologique Internationale. The AKC will only allow a purebred dog to be registered with their club if the dog’s parents are already AKC-registered as the same breed. In addition, the litter in which the dog belongs must also be registered as well. If the requirements are not met, the AKC may conduct a special registry research to determine the dog’s eligibility. 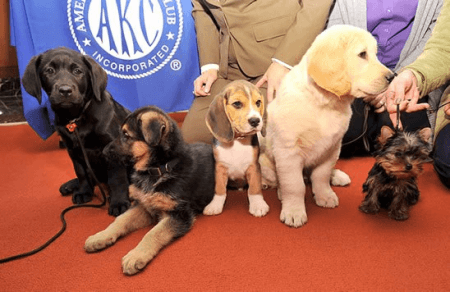 The AKC classifies dog breeds into seven groups (e.g. Hound Group, Terrier Group), Foundation Stock Service, and the Miscellaneous Class. They currently recognize 175 purebred dog pedigrees. The CKC is the Continental Kennel Club (not to be confused with the Canadian Kennel Club) which is based in Walker, Louisiana. Established in 1991, the CKC is a commercial registry for purebred dog pedigrees. The organization does not follow a closed registry policy in their belief that doing otherwise contributes to the occurrence of genetic disorders among dog breeds. The organization is also known to register mixed breeds. The CKC will accept new dogs into their registry if the applicant provides at least two witnesses verifying the authenticity of the breed. In addition, three pictures of the dog are required to check its pedigree. The CKC will reject eligibility of the dog if it is determined to be of the wrong breed type. The CKC charges registration fees for canines but does not charge for litter registration. They also offer registration services such as Photo ID Cards, Photo Registration, and Photo Pedigrees. Members have the option to place a picture of their dog on the registration papers. So, what’s the difference between the AKC and the CKC? The main difference between them is that the American Kennel Club registers purebred dogs only if the parents of the dog are AKC-registered. AKC records date back to the 1880’s which means their dogs (or at least to the AKC) are 100% purebreds. The Continental Kennel Club registers purebred dogs as well as mixed breeds. The AKC has registered 175 purebred dog pedigrees while the CKC recognizes about 450 breeds. The AKC has been a purebred dog registry for over 130 years, thus their dog’s lineage can be traced that far back. The CKC has only been providing dog registry services since 1991.